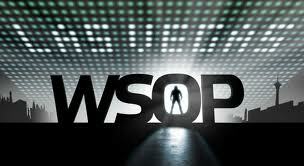 Countdown to the 2011 WSOP: $50k overhyped? We are T-Minus 4 and counting until the start of the 2011 World Series of Poker on May 31, when the $500 Casino Employees tournament and the $25,000 Heads-Up No limit Holdem Championship get underway, and in this article I’ll take a look at the Players Championship and determine whether or not, in the new $100k Super-High-Roller tournament era, the $50k Players Championship is overhyped. When it was first introduced, the idea of a $50,000 buy-in tournament was basically looked upon as the true test for the world’s top poker players, but is this still the case in today’s poker world, where $100k buy-in tournaments and even a $250,000 buy-in tournament are not just common occurrences, but before Black Friday were set to become a poker tour of their own? So I ask the question, is the winner of the $50k Players Championship the crowning of poker’s top pro, or just some overhyped high-buy-in tournament? It seemed like last year ESPN basically made Mike Mizrachi the poster-child for their coverage based on his Players Championship victory–although he did have a monster WSOP besides the Players Championship win, as well as going through a tough spot in his personal life in the process which made him a good storyline to follow —but it seemed to me that the rest of the poker media ate this story up as well. So, did Mizrachi deserve this kind of attention because of his win in the Players Championship? The one thing that the $50k Players Championship has going for it is the ESPN television cameras. When the event was dropped from the ESPN schedule in 2009 –because the tournament was not No Limit Holdem which is basically the only format ESPN wants to air– attendance plummeted from regularly approaching 150 entrants down to just 95. This tells me that it’s not so much the tournament, but the TV coverage that was drawing the players –players looking to cash in with a sponsorship deal. I understand the idea that a mixed game calls for greater skill, but I’m fairly certain that none of the top players participating in the Players Championship are basing their opinions of who the best player is based on a single tournament either! So why not give the fans and the vast majority of possible entrants in the event, what they want and make the Players Championship a No Limit Holdem Event? If players are entering because of the exposure and not the prestige, why not switch to a NLHE tournament? 100 entrants is still a really good turnout for a $50k buy-in event, but considering the hype that surrounds the Players Championship you would think 200 players would not be an issue –especially when you look back at the $40k NLHE event in 2009 which drew 201 players. This entry was posted on Saturday, May 28th, 2011 at 5:04 am and is filed under Poker News. You can follow any responses to this entry through the RSS 2.0 feed. You can leave a response, or trackback from your own site.